Elkay water products usually ship within 5 days. 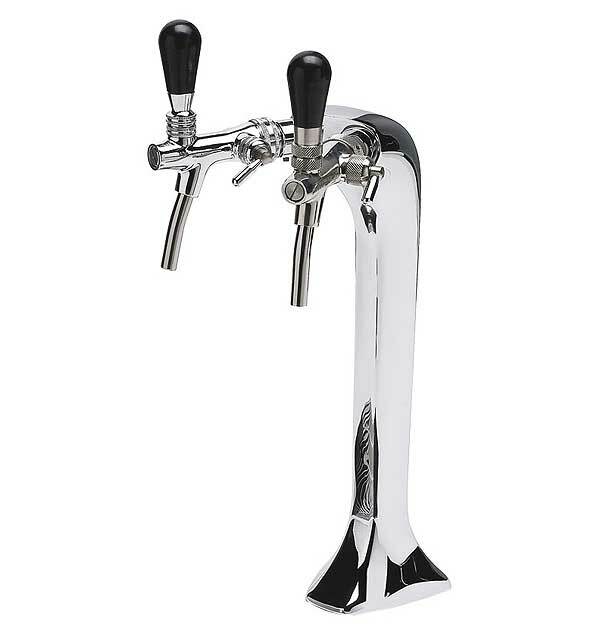 The Elkay/Blupura column tap has two taps to deliver chilled and sparkling water from an elegant bar mounted tap. It is designed for use with the Blupura underbar / undercounter carbonation chiller to deliver filtered, good-tasting water and carbonated sparkling water to your customers. 11.7 inches high x 5.2 inches W x 9.1 inches deep. Installation kit includes mounting nut and two push to connect tubing fittings (3/8" x 3/8") for connection to the undercounter carbonation, chilling, and filtration system.